You are here: Home / Departmental News / Congratulations Dr. Rycroft! 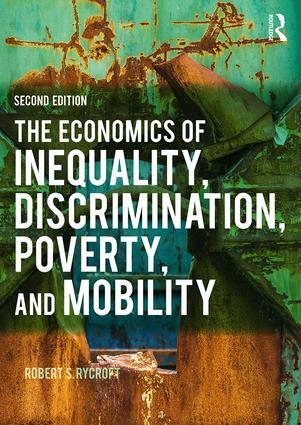 Professor of Economics Professor Robert Rycroft recently had a book published: The Economics of Inequality, Discrimination, Poverty and Mobility, 2nd Edition, Routledge. If there was any question before, there is no longer a question today: inequality, discrimination, poverty, and mobility are prominent national issues. The notion of “The American Dream” has been sold to generations of young Americans as the idea that working hard and following your dreams will allow you to break through any barriers in your path and inevitably lead to success. However, recent findings on inequality, discrimination, poverty, and mobility show that “The American Reality” is very different.